March 22nd – Working very late, a 14 hour day. I returned through a somnambulant Park Street in Walsall, the pavers shining in the electric light. 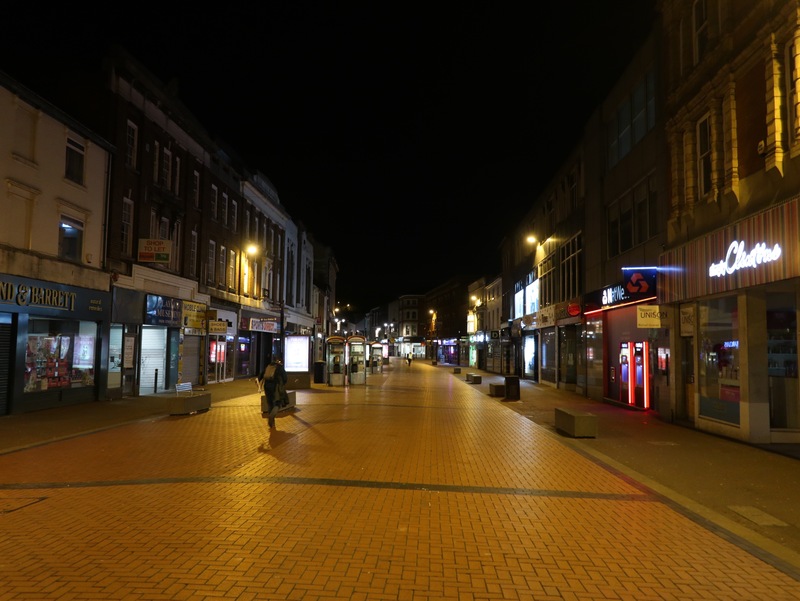 Walsall gets an awful lot of stick in some quarters, but looking tonight at the clean street and welcoming light, I was reminded that this isn’t a bad place, for all it’s detractors. It certainly felt like home tonight.